Even if I tried, I couldn’t count how many times I’ve been to the grocery store in the past year. Beyond that, I’d be sunk for sure if I had to recount how many hauls I’d made back and forth to every big box retailer and discount grocer over my lifetime. But every year around Christmas time, one distinct trip stands out in my mind. An experience that forever changed the way I approached grocery shopping and the holidays, I’ll never forget the saga of the left behind cart. In reality, the day began rather mundane and maybe even on an upnote. My husband encouraged me to get out of the house to do our weekly shopping. He stayed behind to entertain our then toddler daughter in the second floor walk up apartment where we began our marriage. Eager for a few minutes to get out of the house and breathe the fresh, crisp November air, I didn’t wait a second longer. I grabbed my keys and bounced straight out the door. I’m not even exaggerating, when I arrived at Walmart, I felt free. Sure, it wasn’t a high end department store or even the local mall. But bedecked with shades of reds and greens, the shelves sparkled with holiday cheer. Catchy Christmas music jingled in the background and I began to cruise the aisles. With care, I responsibly placed the week’s grocery items in my cart. But here’s where the story gets a little dicey. Slowly, I strolled down the seasonal aisle. Everything caught my eye. The holiday candies called out to me. “A sweet treat wouldn’t be so bad.” Then I remembered I needed special ingredients to make my grandmother’s delicious peanut brittle. AND, I really should do some traditional holiday baking. Plus, why not pick up some of those cute boxes and bags to make gifts out of my amazing culinary delights. Decorations, gifty items, food, and more – more and more magically sprang into my cart until it was piled high. With a contented sigh of relief, I wheeled toward the checkout and began placing things on the belt one by one. It took a little longer than usual and I didn’t realize just how much I thought was necessary to get into the Christmas spirit. When the cashier read my total, I gulped. The amount was more than double my regular weekly spending. Sweating, I dug around looking for my wallet. And that’s when I realized I didn’t have it. “I think I must have left my wallet in the car,” I choked out to the blue smocked employee. But when I made it to the car, I realized I didn’t have my wallet at all. In my mom brain flurry, I left without picking it up. I drove home without my wallet (which made me incredibly nervous because that meant I didn’t have my license either) and without the haul I had just attempted to make. Maybe forgetting my wallet that day was an act of grace. More than a little embarrassed, I returned later in the day and re-shopped for the week. Let’s just say my little do-over trip meant the total was greatly reduced. 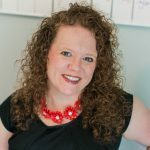 From then on, I began paying more attention as I shopped and set an actual budget for Christmas each year. Maybe you haven’t had the exact same struggle, but feeding our families and fitting space into our spending for special holiday meals and treats can be a challenge during the months of November and December. Guests drop by without advance warning. We need to bring cookies to the classroom or special event. The office pitch-in means a covered dish. The family gathering requires us to bring rolls or an appetizer. All of the extras add up more quickly than my sad, abandoned cart. You don’t have to do the walk of shame or even feel deprived at this time of the year. 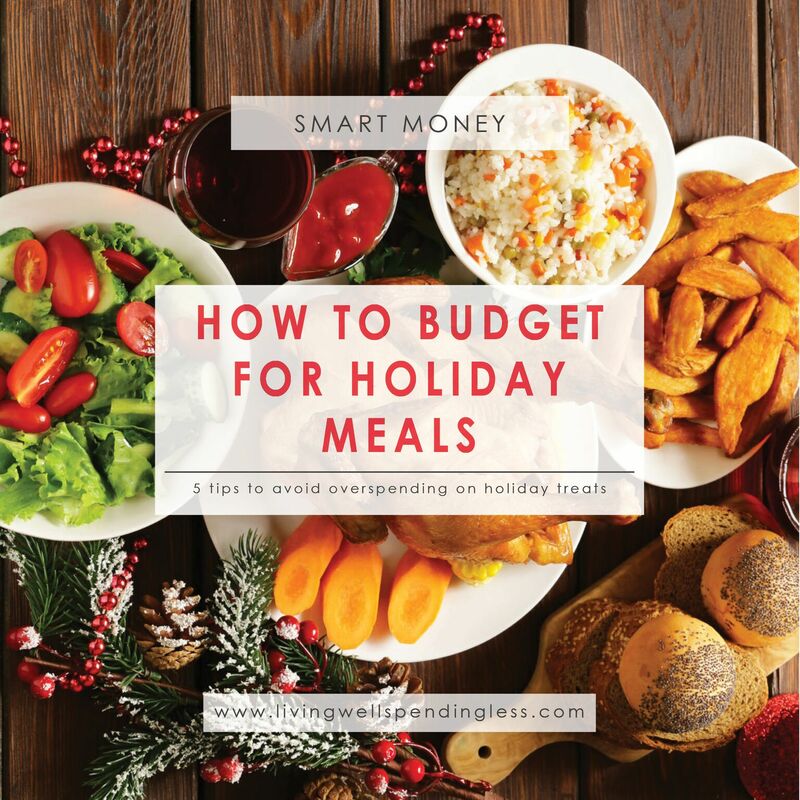 These smart strategies help you make the most of your resources and money, while still celebrating the best of the season. 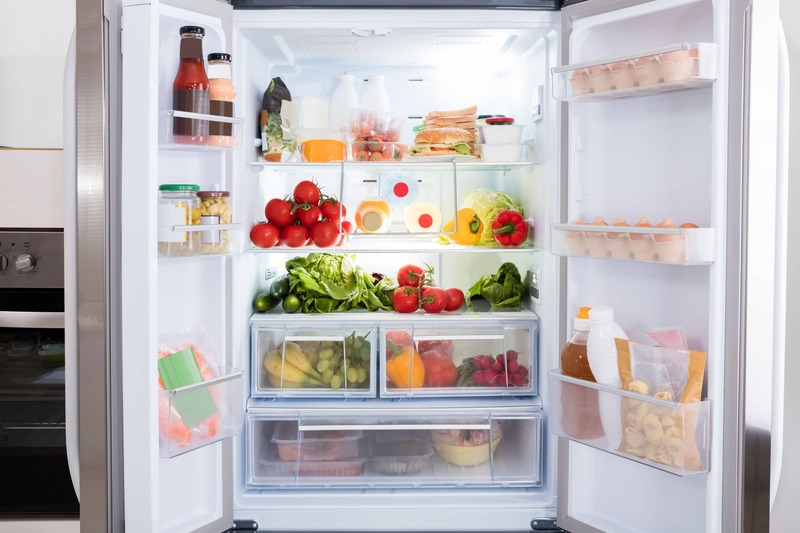 Before you make a single holiday purchase, it’s smart to begin by cleaning out your fridge, freezer, and cabinets. This simple act of reorganization can help you get a much better grasp on what you do and don’t need to buy in the weeks ahead. Plus you’ll clear out the space so that you can actually store and see what you do have. You may be surprised at the items already waiting to be turned into holiday treats and meals hiding in your own pantry. While there may be some unexpected, last minute needs for classroom snacks or church groups, by and large you can anticipate what sorts of dishes you’ll need to prepare. 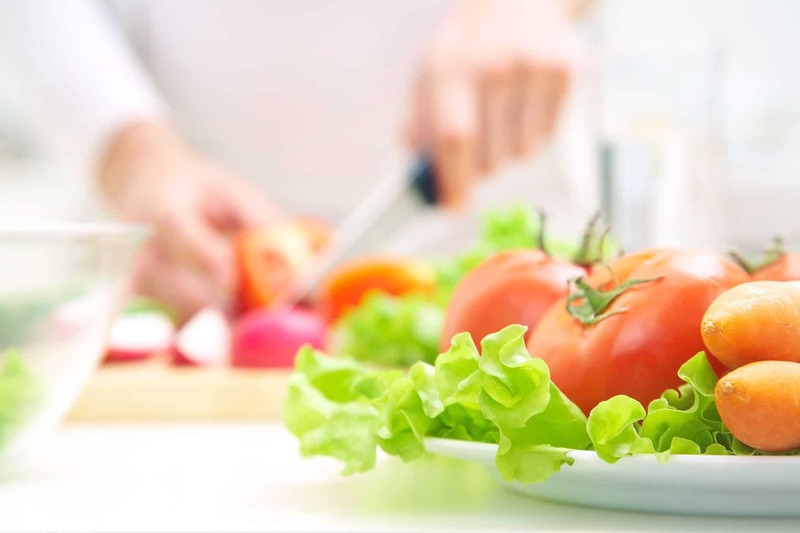 With a busy season of life approaching, it’s time to be on your meal planning A-game. Look over your planner or calendar and begin anticipating what sorts of extras you’ll need to allow for in your food budget. Scale back and eat simply during the week so you use the extra dollars toward special purchases. Instead of planning an ornate holiday extravagance like a three-tier gingerbread mansion or a flaming nutmeg cheese dip (is that really a thing or did I just make that up? ), keep some last minute, simple options on hand. Chips and salsa, popcorn made on the stove, pretzels dipped in chocolate bark – all of these items are certain to keep your friends and family well fed and still in a festive spirit. Plus, they have a long shelf life so if you don’t use up everything, you can use them for weeks to come during the long winter. Skip the pre-packaged seasonal baking mixes and stick to tried and true family favorites instead. 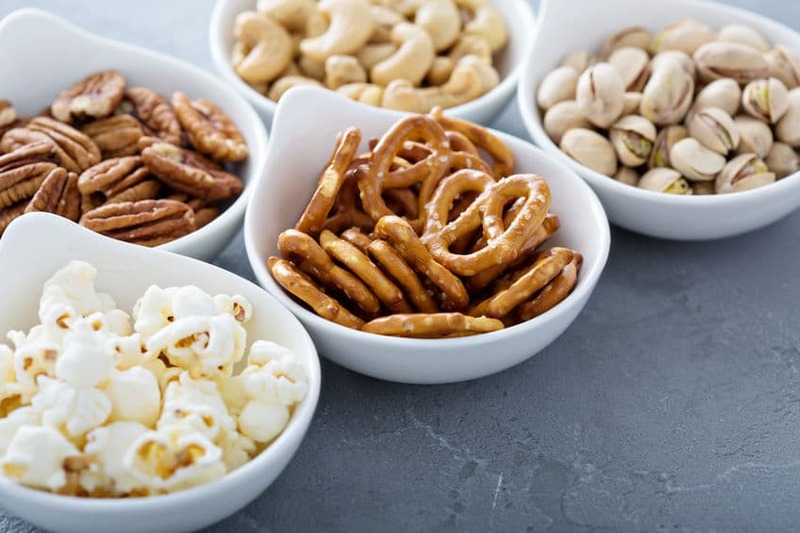 Hardy fruits like apples and pears, nuts, and even cereals that you can quickly turn into a snack mix are smart choices, too. Between the school programs, holiday sports tournaments, church events, and special family traditions, finding time to actually make dinner is brutal during the holiday season. Do yourself a favor a plan a freezer meal day so you can have 5-6 quick dishes for your family to pop in the oven or crockpot. Don’t know what to fix? Check out my $50 ALDI Meal Plan that makes 8 Freezer meals! I know just how tempting it is to run into the store and grab the veggie tray to bring to the potluck at work, church, or school. After all, at least you’re making a healthy choice, right? While these items rank high on the convenience scale, you’re overpaying an astronomical amount. Plus, one or two of the veggies always end up sitting there sadly while the carrots disappear. The same goes for fruit and meat trays, too. Buy the raw ingredients and put together a platter of your own. It really doesn’t take that much time and the components can be customized to make sure your guests truly enjoy the foods you serve. The holiday seasons allow us to celebrate and spend treasured time with our friends and family catching up and even sharing a meal or a treat. Don’t be distracted by thinking that the food you serve has to be elaborate or pricey. And keep your budget in check at the same time. Save money with smart strategies like these so you can spend your cash in other areas this Christmas (because there are always more surprise expenses that pop up). Make a plan now and stick to it through the end of the year. Don’t let an abandoned cart be a part of your story, too.